My name is Tim Lawrence and I supervised the ILM Creature Shop for GB2 and played the ghost Nunzio Scoleri. 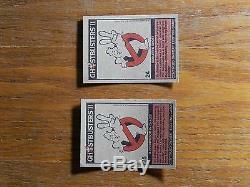 Here is a group of original production photos from the making of Ghostbusters 2. Portraits (large images) - Shot on ILMs main stage and processed by the ILM on-site lab. These were cropped by the art department for an Academy display. 1 B&W (5" x 7") - Cinematographer Kim Marks and myself on the main stage for a Nunzio shot. 1 Color (6" x 4") - Robin (Navlyt) Shelby in the Creature shop for a fitting and a slime test. 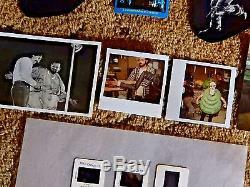 1 color Polaroid (4" x 4") - Buzz Neidig, Robin and Alan Peterson in the Creature Shop. 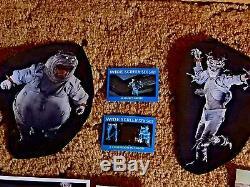 1 color Polaroid (4" x 4") - Allen Coulter in the Creature Shop w/the Ghost Nanny stretch arm. 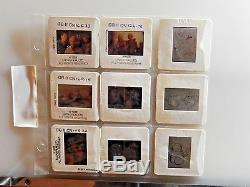 9 color slides processed by the ILM lab (Kerry Nordquist & Dave Owen). Mike Smithson, Howie Weed (as Vigo) and Tim Lawrence 2. Dennis Muren, Howie Weed (as Vigo) and Mike Smithson 3. Jim Fye (as Liberty) and Buzz Neidig 4. Wilhelm von Homburg (as Vigo) and Dennis Muren 5. Henry Mayo color art for Tony Scoleri 6. Henry Mayo color art for Nunzio Scoleri 7. Henry Mayo art for Slimer 8. Henry Mayo art for Slimer 9. Henry Mayo art for Slimer. 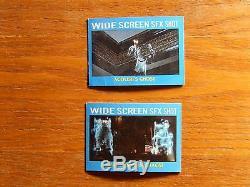 Numbers 24 & 25 (3.5" 2.5"). Also a few other things I've come across. The item "Ghostbusters 2 (1989) Original B.
ILM Creature Shop FX Prod. Photos +" is in sale since Friday, March 17, 2017. 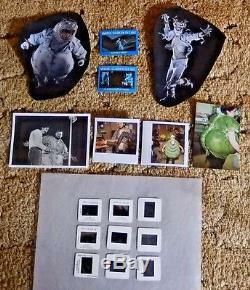 This item is in the category "Entertainment Memorabilia\Movie Memorabilia\Photographs\1980-89\Color". 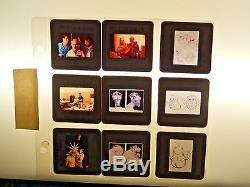 The seller is "s_n_a_r_k" and is located in Jacksonville, Florida. This item can be shipped to United States, to Canada, to United Kingdom, DK, RO, SK, BG, CZ, FI, HU, LV, LT, MT, EE, to Australia, GR, PT, CY, SI, to Japan, to China, SE, KR, ID, to Taiwan, ZA, TH, to Belgium, to France, to Hong Kong, to Ireland, to Netherlands, PL, to Spain, to Italy, to Germany, to Austria, RU, IL, to Mexico, to New Zealand, SG, to Switzerland, NO, SA, AE, QA, KW, BH, HR, MY, BR, CL, CO, CR, DO, PA, TT, GT, SV, HN, JM.